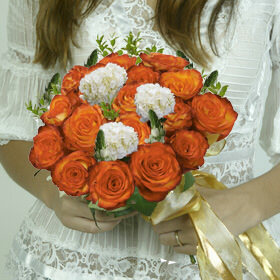 The DIY trend has hit the flower industry by storm! 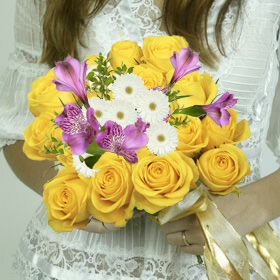 Creative and resourceful brides everywhere are scouring bridal books, magazines and the Internet for how-to tips on creating their own fabulous wedding bouquets and floral arrangements. 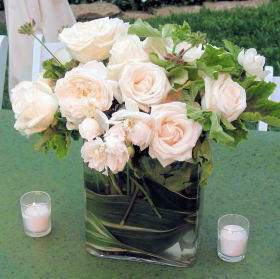 From simple and elegant rose bouquets that even a novice can quickly assemble, to clever and unique arrangements for the more experienced designer, DIY Wedding Flowers have become all the rage. 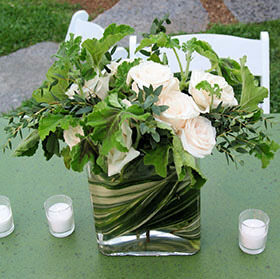 Instructional Internet videos and tutorials provide an endless stream of fabulous ideas for creating the perfect DIY Wedding Flowers for that special day. 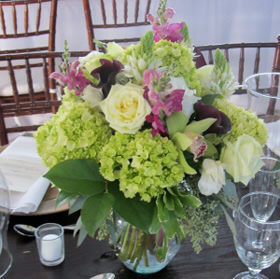 Mothers of the bride and other close friends and family members are getting in on the action, as well. 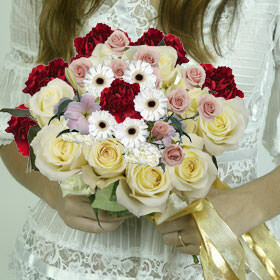 Nothing is more special than a bride carrying a beautiful bouquet of fresh flowers on her wedding day that her mother, grandmother or sister lovingly made, just for her. 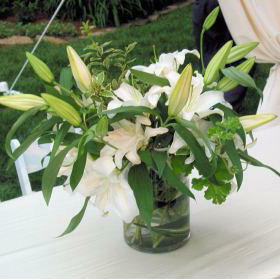 Because of the skyrocketing cost of flowers from local flower shops, DIY Wedding Flowers have become a more affordable and personalized option for many brides. 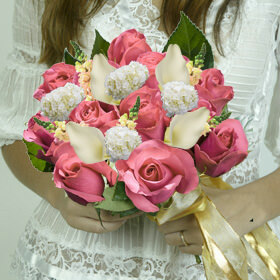 Globalrose has built its reputation on quality and value and offers the best wholesale fresh flowers at the best prices. 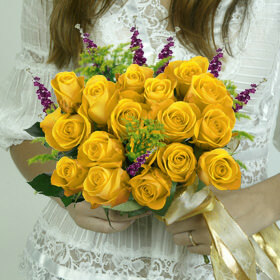 For those who prefer to add their own personal style and magic to their wedding, bridal shower or rehearsal dinner, consider Globalrose.com for the best selection of fresh DIY Wedding Flowers on the internet! 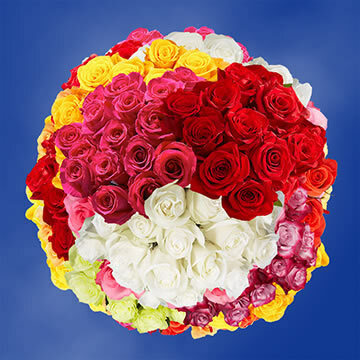 We have dozens and dozens of fabulous roses to choose from as well as combo assortments that may include, calla and Asiatic lilies, hydrangeas, daisies or even exotic flowers for that romantic beach or tropical wedding. 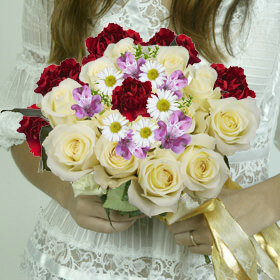 In addition to our DIY Wedding Flowers, we also sell beautiful pre-made bouquets for brides and bridesmaids, as well corsages and boutonnieres. 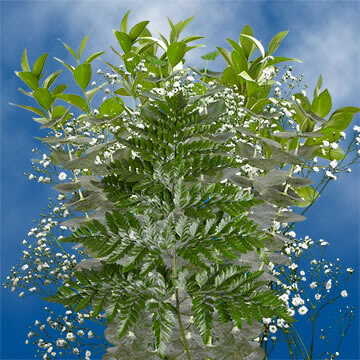 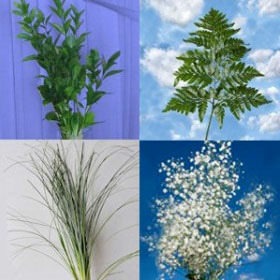 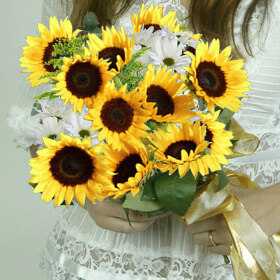 We also offer bunches of filler flowers like Baby's Breath, Ruskus and Bear's Grass to name just a few. 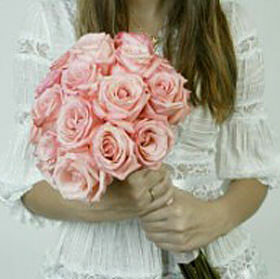 And don't forget to order our fresh rose petals for your guests to toss after the ceremony or for your flower girls to sprinkle along the bridal pathway. 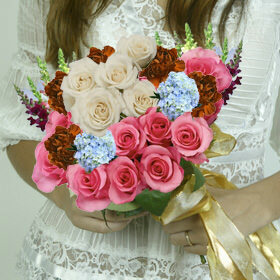 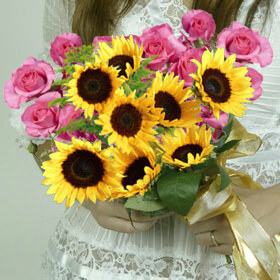 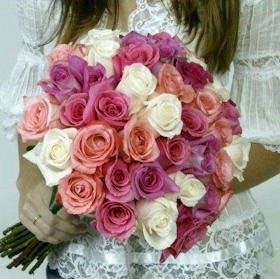 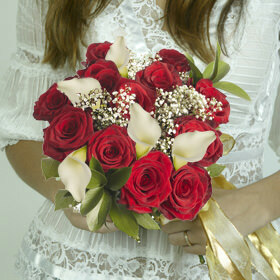 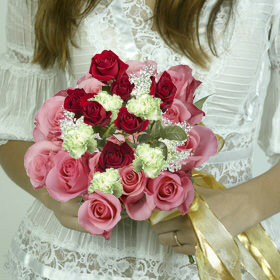 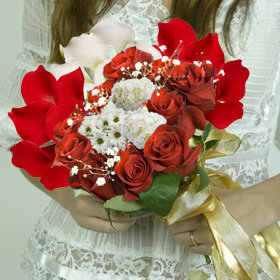 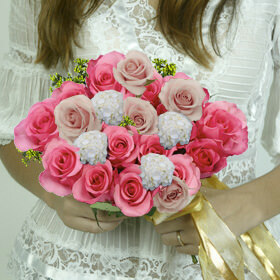 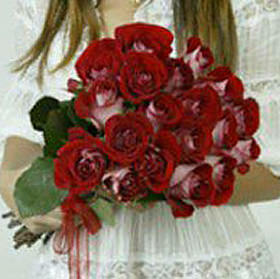 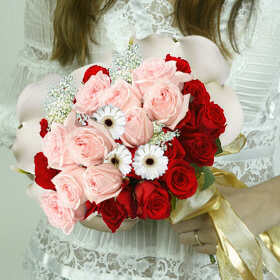 Globalrose has been selling flowers through the internet since 1999. 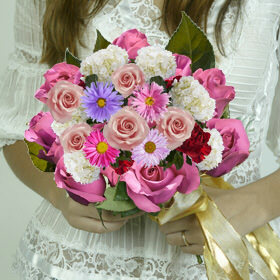 We have been growing flowers since 1972 and have sold millions of stems worldwide. 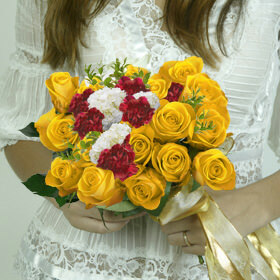 The Globalrose website was designed to make ordering your DIY Wedding Flowers quick and easy while providing our customers the access to order directly from our greenhouses 24 hours a day.